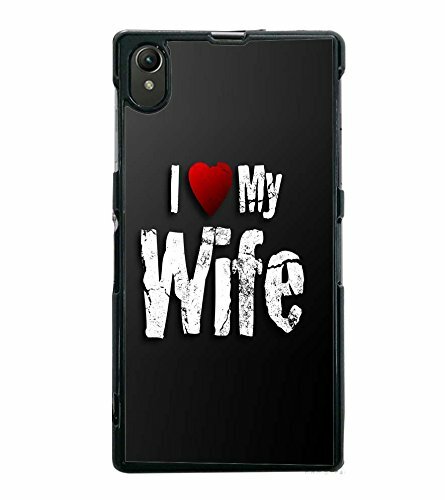 PrintVisa My Wife My Life High Gloss Designer Back Case Cover for Sony Xperia Z1 :: Sony Xperia Z1 Honami :: Sony Xperia Z1 C6902/L39h :: Sony Xperia Z1 C6903 :: Sony Xperia Z1 C6906 :: Sony Xperia Z1 C6943@344 Rs [Mrp:-999] - Onlinedeals.discount - A leading product discovery website. Find the true prices of products, read reviews and buy top brand products at reasonable prices. Made from Hard Polycarbonate Plastic with Metal Area Printed, that will protect your Phone from minor Bumps and Scratches and keeps your Phone in Pristine Condition. This Cover Provides with Maximum Protection to your Phone and Maximum Comfort for use. Raised Case to Protects the Front Screen and Edges from Scuffs and Scratches. Open buttons and Exact Cut-outs Allow Easy Access to Phone Functions.